Follow Mini Rocker Domo (the Bugle Call mascot); first one to guess correctly wins a prize. 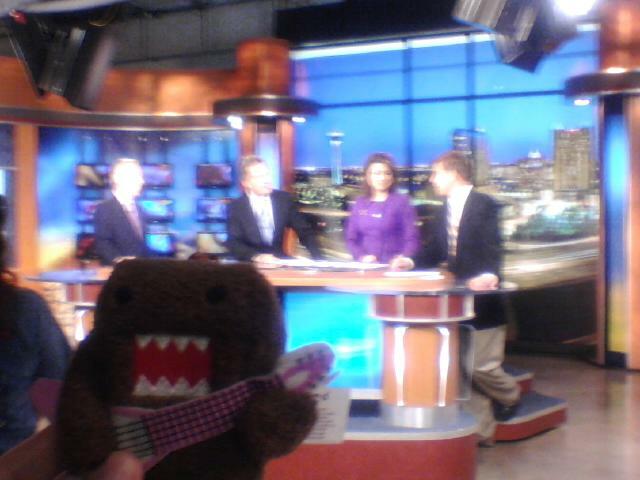 (Even the the pix is a bit blurry, and the location’s logo is covered up by none other than Domo).. Can you guess where these people work? Volunteer nation: How many times can you juggle a soccer ball?